Happiness is circumstantial. Plain and simple – happiness is dependent on external influences and what happens to you either through other people or situations out of your control. This is the reason people are not happy. Why? Because circumstance are in a constant state of change and are unreliable. Instead, our focus should be on joy. Joy is internal, moves from the inside out and is rooted in a personal understanding of purpose and vision. Not only that, it is completely within your control because it is attitudinal and perspective based. This is part three of an unintentional 3-part podcast based on a list of things I originally started keeping in an effort to change my own thinking and focus. In previous episodes, we have covered 10-12 areas of focus that tend to steal our joy and keep us from being happy. In this episode I conclude the list in hopes of possibly revisiting some items in a more direct manner later. These are things on which we tend to place our attention, that if we would simply redirect our focus, would likely change our daily disposition. Happiness is not where you will find contentment and ultimate satisfaction – that would be joy – and joy has only one source, God! The joy of the Lord is my strength, says the Psalmist. Happiness however, often has more to do with subtraction than it does addition. 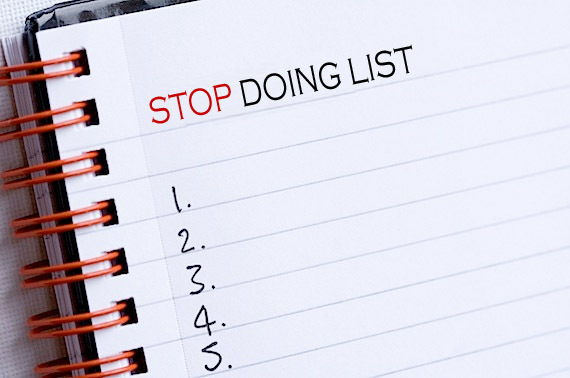 Too frequently we try to add to an already full list instead of identifying those things we should eliminate. I hope that this list and podcast mini-series will help you in your daily pursuit of realizing your potential to transform.